Great ideas need great partnerships. With latest technology, we can quickly produce large quantities – that is what today’s customer needs. We can do anything when it comes to textile printing. And not only that. Basically, anything can be done. Our printing plant features state-of-the-art machines for screen and digital printing.… We always choose a suitable process depending on the specific requirements and quantity. On top of that, we offer environmentally sound screen printing, printing effects, full-colour motifs, embroidery and other techniques. Full process under one roof. OP Tiger is not only a printing plant.… We take care of the entire process, from manufacturing the product to modifying the design and printing, together with follow-up work (tags, labels, stickers, etc.). As an added value, we provide comprehensive services related to custom product packaging, storage, dispatch and transport of finished products directly to the customer. Rich experience in all available printing techniques and ability to offer alternative solutions for the final product. … While technology and processes are certainly important, no less important are people and their experience. We have more than two hundred employees to ensure that all our deliveries are on time and in perfect quality. Our customers include major companies in the fields of FMCG, E-Commerce, advertising agencies and key players in licensing and entertainment industries. Product – t-shirts, sweatshirts, bags, badges, stickers, etc. 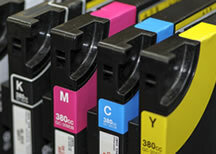 Brand, types, colours & size of the printed material. Check our catalogues or consult us. Placement and dimensions of the printing. Check the options available for individual techniques. Colours. For Pantone Matching System Coated screen printing; all others will require individual agreement. Data in the corresponding format and resolution. Check the rrequirements for individual techniques. Requirements for product packaging, marking, etc. Your billing and delivery details; telephone number where we can reach the person in charge. Approval of the price quotation. Check and approval of the electronic preview we sent you. Method suitable for batches of 300 items and more. Classic printing technique where colours are applied via screens onto the printed product surface. Exact tone of the print colours can be chosen (according to the Pantone sampler). The print exhibits high durability and resistance. This technique is generally used for greater quantities using the same motif. Puff - The print seems slightly puffed up and is raised above the surface of the textile. Glitter - The print contains coarser, colorful glitter. Shimmer - The print is softly sparkly. Gold, Silver, Metallic colors - The print looks and feels soft. Flitter - Metallic glitter is ironed onto the print. Cosmic crystal - The print contains rainbow glitter that can only be seen at certain angles. 3D - Colors are layered to achieve an effect that makes the print rise above the printed surface. Discharge - The print is achieved by chemically eliminating the original color of the textile along the outlines of the print. Phosphorus - In natural light it looks like an ordinary white print. It glows an impressive greenish white in the dark. Suede - The print looks like leather and is raised above the surface of the textile. Plush - The print is raised in a thicker layer that looks like suede. Brittle - The print breaks and cracks when squeezed between your fingers. Single or full-colour; one t-shirt, one motif. All for one price. OP Tiger’s portfolio includes state-of-the-art digital machines for this printing technique. Digital printing allows us to print various motifs involving many colours, photographs and other colour combinations. Using the digital printing technique, we can also print single items based on the customer’s wishes. 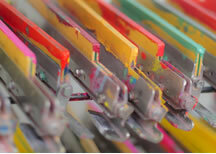 We also use digital technology to print on other materials that will supplement your textile printing order. Ask us about possible options when devising your campaign. It is very likely that we will be capable of making whatever you have on mind, and we might even show you things you haven’t heard of. When you seek luxury that will last forever. Embroidery is a technique which is very attractive due to its relief while being very durable. 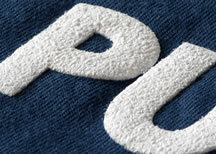 Embroidery can be washed at high temperatures and ironed. What will your finished order look like when we send it to you? That depends on how you want it. We’re experts at custom shipping. For our e-shop partners, we ship small orders anywhere in the CZ, EU, or the rest of the world. We work with many large and small carriers. We guarantee the best price for materials and shipping. We know all about packing materials and where to get them. We own a specialized packing unit. In short, we can arrange everything for you. From attaching tags to packing, and delivery to clients. We cooperate with the best distributors in the field. For more information click the logo of your favorite brand. Like an ice cold drink on a hot day. Like help when drowning. Yes. You don’t just want it. You need it. Authentic, pure, simple, ethical, sustainable, entertaining, thorough, truly human, nature-centered, growing, contemporary, experienced at doing and young at thinking. Fit, last, amaze, caress, shine, flatter, stand out, help, change and melt (hearts). We are proud to be their premium dealer. Because we are the same. Dreamers, with a touch of sobriety. Forever in love with what we do. We are capable of literally anything you can think of in textile printing. We belong to the pioneers of ecological printing. We were one of the first print shops in Europe to achieve the most strict and respected certification, the GOTS (Global Organic Textile Standard). It helped us fine-tune the production processes in order to be more sustainable, ethical and fair. We continue to strive making progress towards a more sustainable, effective and ethical production every year. Even without the certification. We offer printing with GOTS certified inks and other non-phthalate and environment friendly inks of the same quality and durability as with the regular printing inks. We invest into hi-tech equipment with the most ecological parameters. Our entire production runs on energy from renewable resources. We work with a closed water cycle (do not drain our screen-wash wastewater straight into the sewer) and undergo regular wastewater check-ups. We recycle most recyclable materials. We offer non-PVC packaging for our products. We keep transparent accounting and warehouse management. We value the people who spend their time working for us, treat them fair and with respect. Call our receptionist, Tereza, on +420 242 481 840 or write to us at optiger@optiger.cz. MO - FR 8 a.m. - 5 p.m.
We employ people disadvantaged in the job market. We provide long term support to many nonprofit organisations. And, through a unique project, we make it possible for you to do GOOD too! This section is too large for mobile devices, it can only be displayed in desktop mode. Thank for your understanding. Have a look at our price lists and technical options. We’ll explain everything in person, over the phone, or via e-mail, so don’t hesitate to contact us. 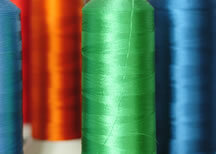 Choose the right textile for you. We have the best prices for organic textile certified by the most recognized European certification, the GOTS certified textile. And, of course, we offer all the proven classics of textile promotional textile. description of the motif or pdf/jpg previews (the color of the background is the color of the textile) if we are printing on textile. If you only order printing on transfer paper and will be ironing them on yourself, we will print the motif on paper automatically in a way that saves the most space (and your money). CAUTION: please prepare graphic data for printing on color textile WITHOUT TRANSPARENCY (i.e. with 100% coverage). We can only print data prepared with transparency (i.e. less than 100% coverage) if materials are provided in 300dpi resolution and 1:1 size. CAUTION: please prepare graphic data for printing on color textile WITHOUT A BACKGROUND (i.e. without a white background). For printing on white textile, a motif with a white background is fine. To ensure that the print on your t-shirt lasts as long as possible, be sure to follow some basic rules.